The multi-billion dollar animal supplement industry thrives with no guidelines or standards and little regulation. There are thousands of products that cry out and you have no way to know if the product’s claims are accurate, whether the ingredients are what they say they are, or what goes on behind the scenes in the manufacturing process. What’s a responsible pet parent to do? 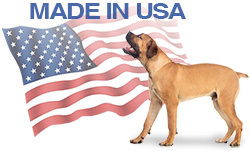 All of our third-party products are carefully vetted with the well-being of your pet in mind. And as an extra measure, wherever possible we offer quality certified supplements. 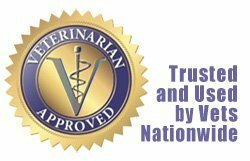 National Animal Supplement Council (NASC) high standards for quality, integrity and labeling set the benchmark; earning their seal demonstrates a manufacturer is reputable and committed to the highest level of quality in the industry. Which is exactly what we want for you and your pets. The NASC is a non-profit watchdog group dedicated to protecting and enhancing the health of companion animals and horses throughout the United States. Gaining their quality seal puts a manufacturer into an elite group. Less than one hundred of the thousands of animal supplement companies in business today are audited NASC members. As part of their vetting, NASC conducts ongoing examinations of ingredient quality, manufacturing processes, operational standards, labeling standards, allowable product claims, and product and data monitoring. NASC also buys and randomly tests products to make sure they meet label claims for ingredients. When you see the NASC Quality Seal you can purchase confidently, knowing that the products you’re giving your pet have met standards that are almost identical as those for human products. This entry was posted in Demodectic Mange, Immune Support, Skin & Coat. Bookmark the permalink.